Wishing all of my crafting friends a very happy Easter time. I was thrilled to see my Easter Card above published in Crafts Beautiful, which is a lovely magazine full of a variety of wonderful crafts. 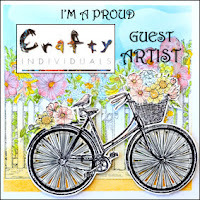 This is a small sneak peek of my card in the May Edition of Craft Stamper magazine. The best stamping, mixed media magazine in the UK. I haven’t been blogging much recently, mostly because I have been very unwell. But also since the google+ was removed my app for working on my blog stopped working, and I needed to wait for it to be updated. So I have a lot to catch up on, but for today I am just sharing my newest make which is this card “Laugh As Much As You Breath”. Created with lots of watercolours, Indigoblu stamps and fussy cutting. Thank you so much for paying me a visit. Hello, how are you today? I hope you are well. I have been playing along with Jane Davenport’s March Hare prompts this week. Which is something a bit different for me, I don’t find it easy to draw quickly and not keep erasing and redoing! But art journalling seems to be about going with the flow! I am not too keen on how day 5 turned out, I may try and work on that one yet. Four more prompts to complete next week. If you would like to play along the prompts are below. I hope you have a good week ahead. Who would like to follow me down the rabbit hole today? Where it is a world of wonder where people are kind, respectful, considerate and law abiding, and treat others how they would like to be treated themselves? I used Paperbabe stamps and templates for my White Rabbit. 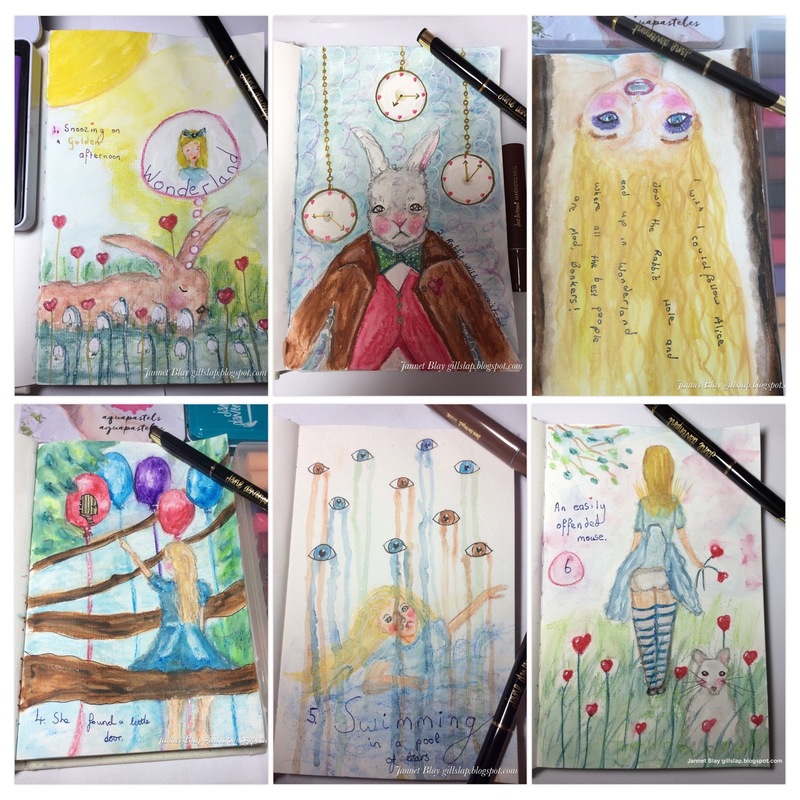 Jane Davenport has just released prompts for Mad March Hare, and Alice sketches. I am going to try and join in and complete the prompts. I won’t be up to sketching/painting every day but I will catch up eventually! I would like to enter Down the Rabbit hole Hole into the following challenges. Hello, thank you to everyone who gave me suggestions with my commenting problem on other blogs. I have removed google + now and just use my blogger profile. I can comment on some blogs but still not on all, which is a real mystery. I am so sorry that I just can’t post on Susi’s blog, she always makes the most beautiful journal pages., if you haven’t visited yet, go and take a peek. Blogs do not seem to be so popular lately, I know a lot of companies are no longer using them, social media has taken over.I am thinking about whether it s worth continuing or not. 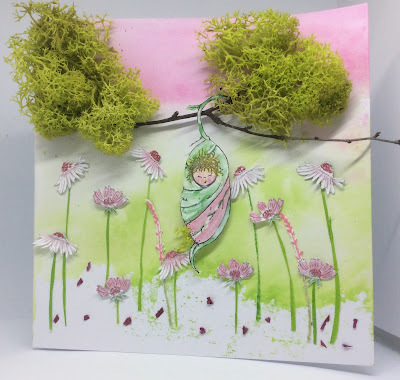 Anyhow today I am sharing a happy Spring Card, lots of water colouring and fussy cutting invloved making this one. The lovely stamps are by Rare Earth. 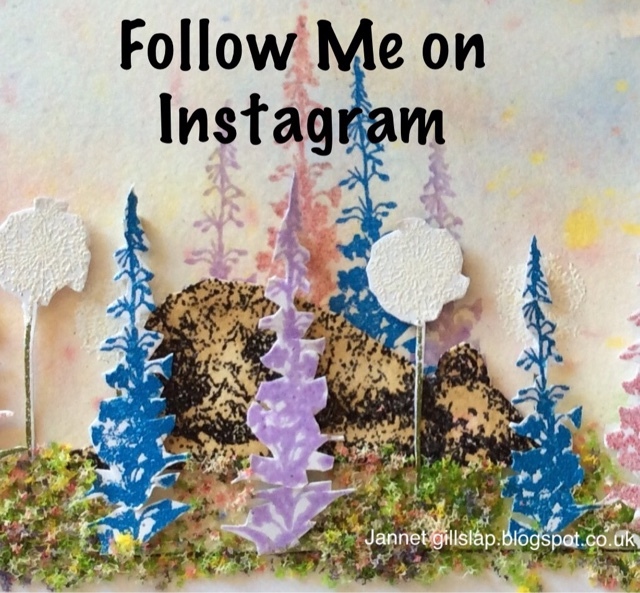 I was happy to see it published in Papercrafter magazine today. Issue 32 has some lovey Spring dies included with it. Wishing you a happy and hopefully sunny weekend. I would like to enter my Spring card into the following challenges. I must apologise as I have been having problems trying to comment on some blogs. Is anybody else having the same problem ? It says to use your google account, but it’s not listed, I’ve tried signing out of blogger and signing in again, but no - nothing works. I know google are deleting the google+ soon, so maybe that has something to do with it! By the way if anyone is following my blog on google+ and would like to continue to follow please click the followers thingy on the left. No crafting this week, as I’ve not been so good, and also had another trip to hospital. I have new Alice goodies to play with though, see above !